On Tuesday 24th May, the children at The British School will experience a cultural visit from 'Project Zulu'. Project Zulu is a choir made up of 24 children from 6 partnership schools in the Madadeni Township from KwaZulu Natal, South Africa. 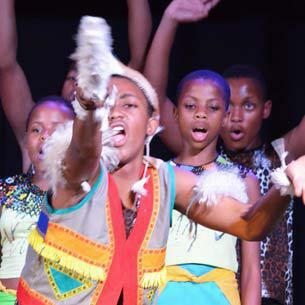 The choir will be travelling to the UK with their teachers and will visit multiple schools across the country to share their Zulu musical talents. The staff and children at The British School are very excited to be welcoming Project Zulu and parents are welcome too. There will be a short performance at the end of the day at 3:15pm where parents can see children from The British School performing with the Project Zulu choir. The PTA have been raising money from recent events to contribute towards development projects for the Madadeni Township schools.